Capture incremental revenue previously lost to outside mail houses and become the one-stop shop your customers are looking for all their direct marketing needs. Become a market leader and maintain your competitive edge with this optional, easy-to-use PressWise mail processing module, powered by AccuMail frameworks from SmartSoft. Automatic CASS™, NCOALink® and PAVE™ Certified postal presorting means your team can easily prepare mailings, even if you are new to mailing. 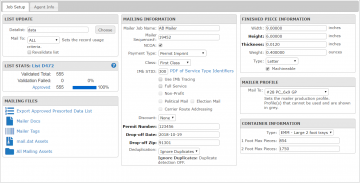 Variable data-ready mailing lists and artwork for postcards, newsletters and flyers flow from PressWise to your variable data engine as easily as standard jobs. 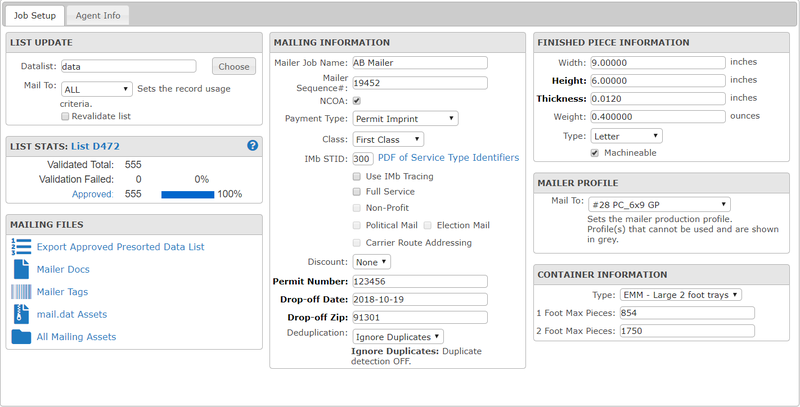 Our proprietary mail stream technology allows workers to co-mingle multiple mail jobs while the system automatically processes the data, for combined postal savings and reduced labor costs on smaller mail runs. Postal paperwork and required tray labels are prepared for easy drop off at your local post office bulk mail counter.